I’m not sure how I feel about the kids going back to school so soon but I do love shopping for clothes for back to school. 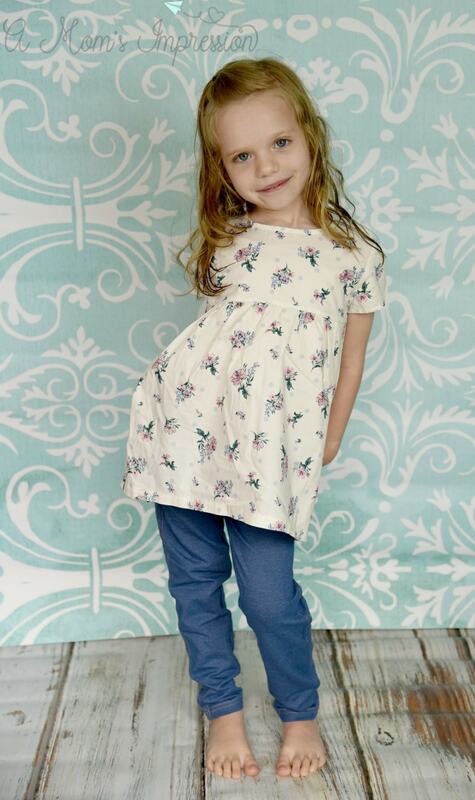 My daughter already has a style of her own, which I love, so shopping with her is a lot of fun. My son doesn’t like anything too flashy or busy, after learning his style I think we have it down to some great basics that will work for most of the year. When we do our back to school shopping we go to Kohl’s. We love the convenience of Kohl’s as well as their prices. It is a great value for our money and that is important during the back to school season. Kohl’s and Carter’s are partnering up with a great sale this August. Between August 4th and August 20th, you can save 40% – 50% off Carter’s Playwear on your kid’s back to school clothes! Kohl’s Carter’s department has great back to school styles at great prices, that will carry your child thru the season! 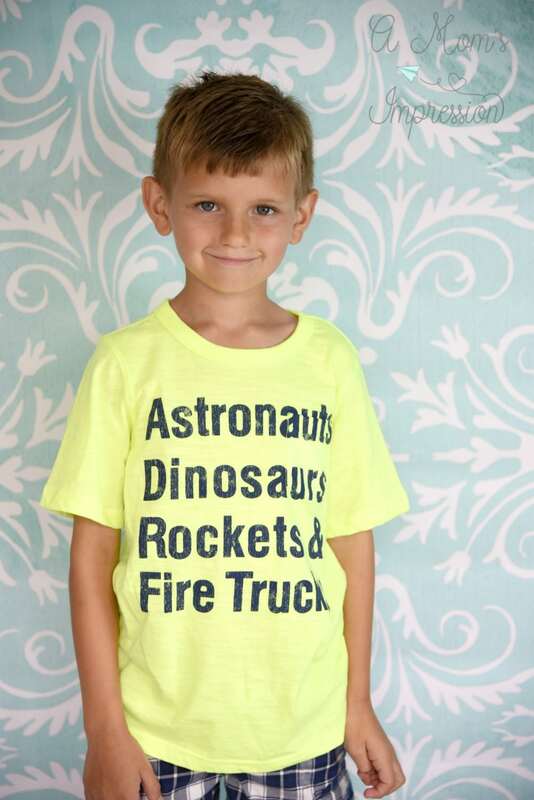 Check out Carter’s selection here! On our recent visit, we stocked up on all things Carter’s for the school year. 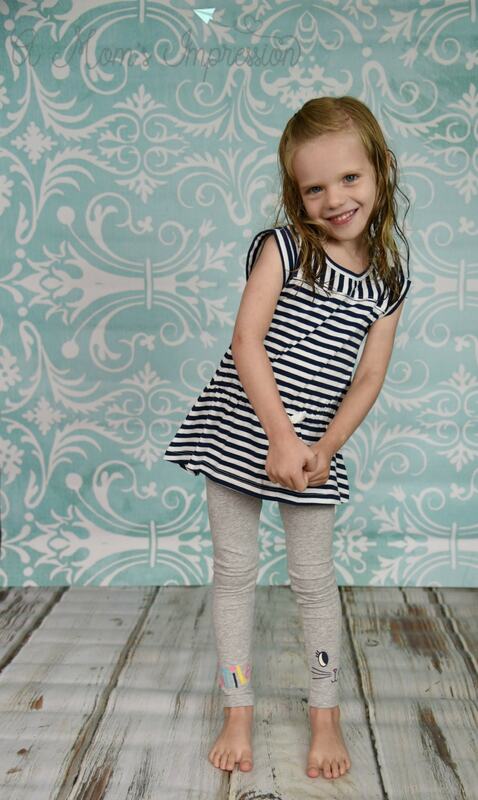 My daughter loved everything she picked out and was excited to put on a little fashion show. This cute little skirt has some shorts attached underneath which is great for school. This was Caroline’s favorite outfit. She loved the cute little flowers and the gold bear on the shirt. I love this look as well, it works for the fall with a pair of leggings or for the spring. I think this ensemble was my favorite! I love these longer tunics paired with leggings. This little outfit is timeless and works well for the playground at school. This is the third 2-piece outfit we picked out and it is absolutely perfect! Caroline said that she loved the “soft jeans” and these are now her favorite pair of jeans. I love it because you can pair almost any top with those leggings. I love pieces that serve double duty! This outfit is a contender for the first day of school outfit! While we love the outfits that Carter’s puts together (they are a great value) we also love some of the separates that Carter’s offers. 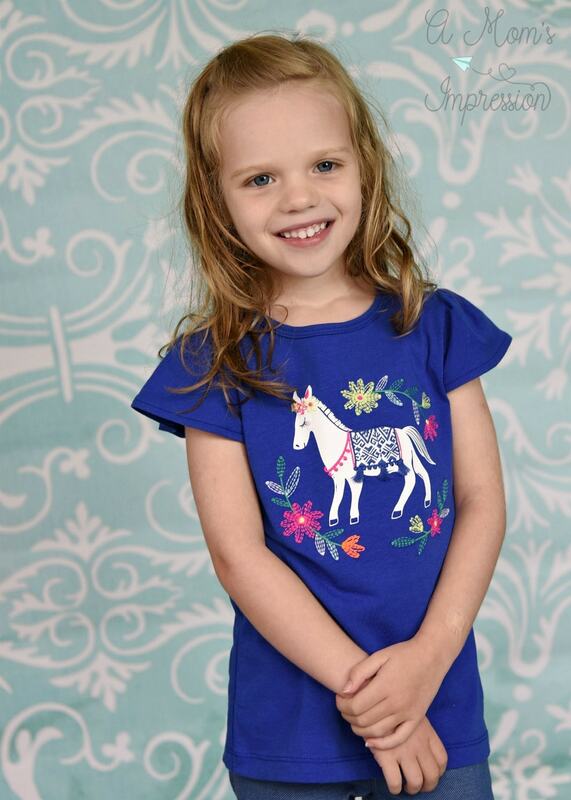 This shirt caught Caroline’s eye right away, she is all about horses and unicorns at the moment. I love this color on her, it makes her eyes pop! I also love this shirt and leggings. I picked out the shirt because as soon as I saw it I fell in love. 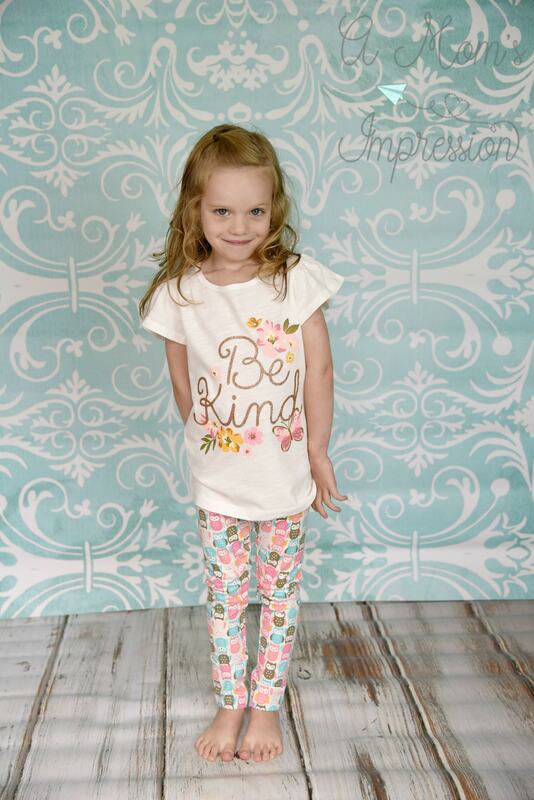 The owl leggings are so adorable. 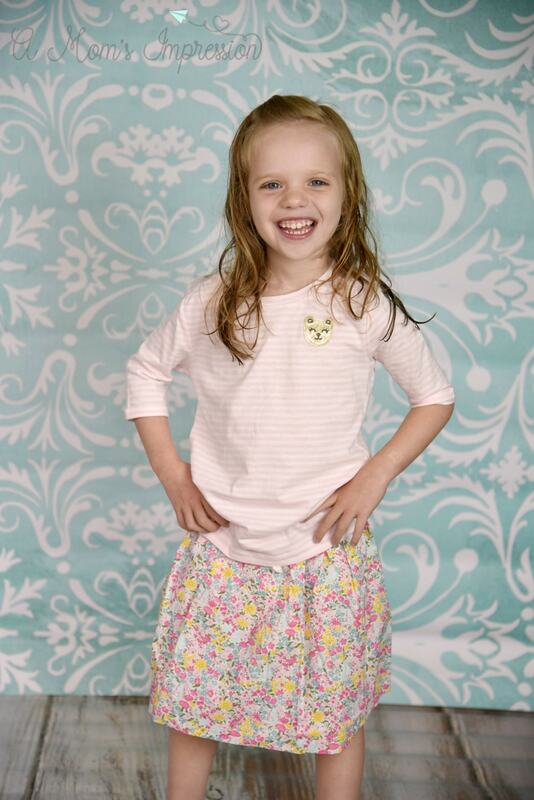 I love that Carter’s makes clothes that can pair together with ease. 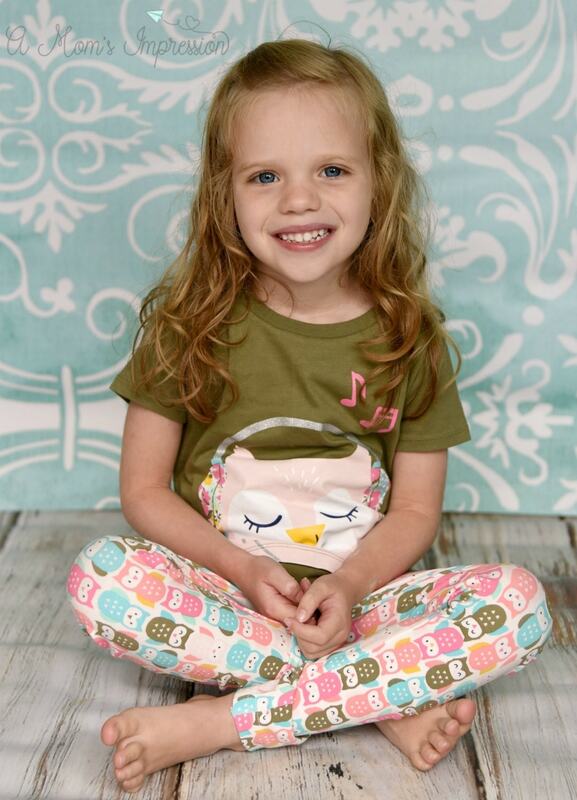 We found 3 different tops that pair well with these owl leggings. 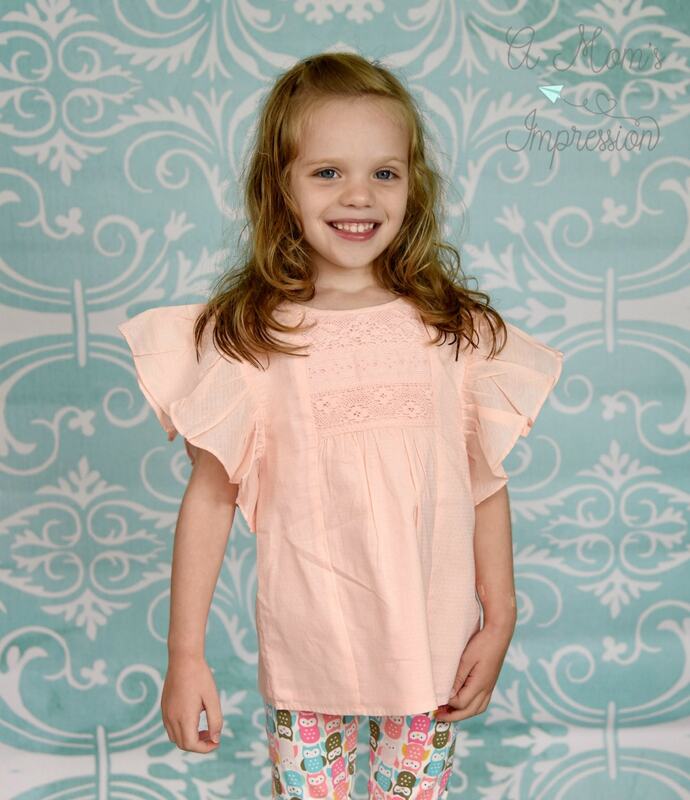 This peach top gives the leggings a whole different look! The Owl shirt was made for the leggings so it was a no-brainer. This outfit is going to be worn a lot! While Caroline enjoyed her little fashion shoot, Jonah had to get a part of the action and show off the outfits he picked out. In the picture above he paired some adorable navy plaid shorts with a fun, bright t-shirt. He also found another shirt that matched the shorts. 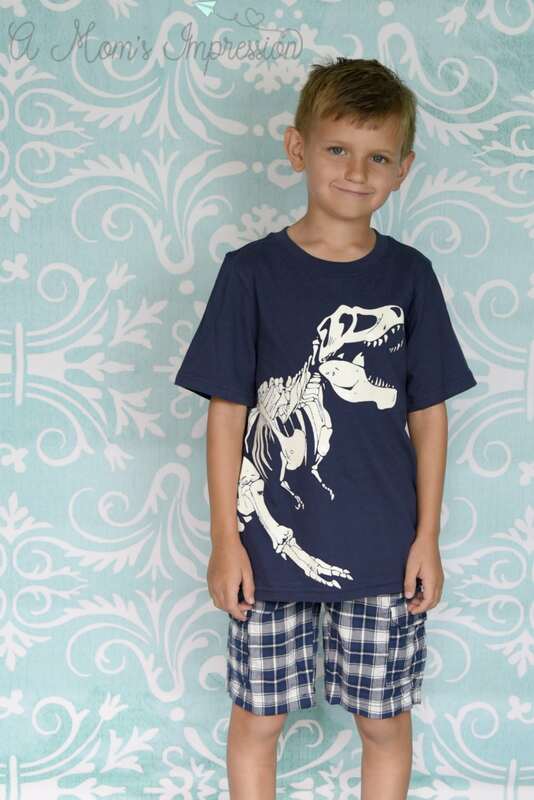 This dinosaur shirt is so cool, it even glows in the dark! It is also very soft and comfortable. I know my son and this is a shirt we will see a lot of this school year. 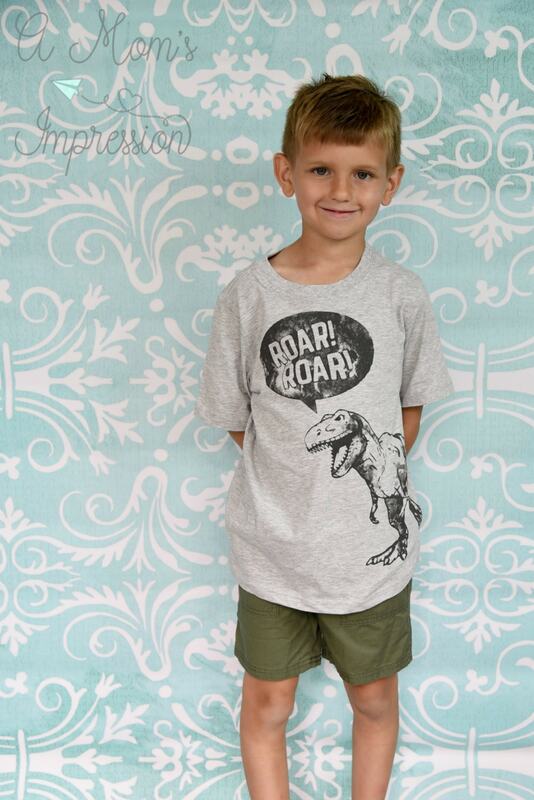 Dinosaurs are everywhere these days so he had to have this shirt as well. He found a nice pair of Army green shorts to go with it. I was excited when he said he wanted this shirt as well. Mainly, Jonah doesn’t want to get any new clothes so the fact that he found several shorts and shirts from Carter’s made me happy! The Carter’s selection at Kohl’s was sizable, especially for the girls. I love the brand and know that these outfits are well made and will stand up to the start of the school year. The fact that you can mix and match so many different tops and bottoms make them stretch even further. 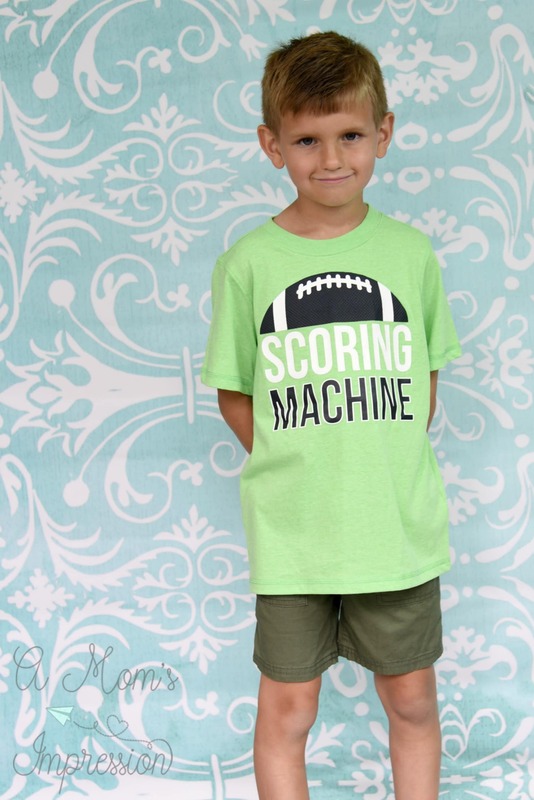 Check out all the things that Carter’s and Kohl’s offer this back to school season. There is a 40% – 50% off Carter’s Playwear sale from 8/4 – 8/20. You can use the code BTS10 to get $10 off $50 spent on the back to school categories (which includes Carter’s clothing)!